Seoul Fever: Challenge: Shopping for Fall! When the nights turn chilly and the leaves soon fall, my fashion cravings showed up just as timely. Hunting new pieces for your wardrobe for a new season can be the trickiest thing. Are you the one who ends up buying too much or too lazy to update new clothes at all? 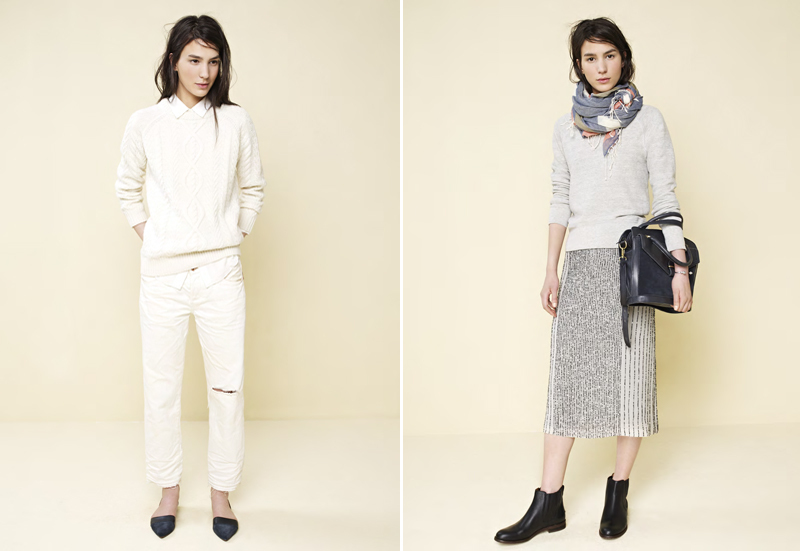 Right now I am obsessed with Madewell Fall 2013 Lookbook and marked off some items I definitely will save up to add to my wardrobe the upcoming season: a comfy yet stylish sweatshirt, and the fall boots!